After Iceland’s formal recognition of the Palestinian state on Thursday, at least 112 countries around the world have recognized Palestine, according to an AFP count. In Latin America, 12 out of the region’s 13 countries formally recognizing Palestine as a state. Uruguay and Peru joined the growing ranks of countries this year - this leaves out only Colombia for not following the suit, since it is a key US ally in Latin America. 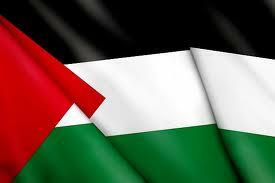 Around 150 countries maintain diplomatic relations with the Palestinians in one form or another.